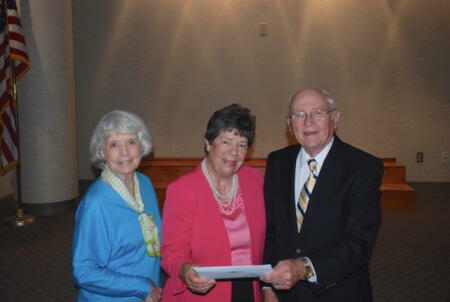 The Johnston County Community Foundation (JCCF) announces it is accepting nominations for the 2016 Frances Finch Hobart Award for Volunteer Community Service. This marks the 11th year in which a Johnston County resident is recognized for outstanding community service. The winner of the award will be asked to designate a local nonprofit organization to receive a $750 grant. Previous recipients include Anesha Johnson, Dr. Norwood Williams, Tom Ricks, Nikki Dyke, Evelyn Aranda, Don Stephenson, Cornell Cox, Sarah Yard, Linwood Byrd and Noela Woodall. Nomination forms are available here. The deadline for nominations is April 19. Nominees from the previous year who did not receive the annual award will automatically be included as a new nominee in the current year’s process.